Information about Music: Adding String Parts to a ROCK Or POP Track? Adding String Parts to a ROCK Or POP Track? For decades, from Motown to Funk, through Disco, Indie Rock or music by singer/songwriters, one of the elements which have made some tracks successful is the addition of stringed instruments to the mix. When used skillfully, this medium can lift a piece of music, giving it a unique character and sound, lending power and emotion to a song. Strings are also used to provide the 'hook' or counter-melody which adds a new dimension and variety to the music. Many chart hits have a background 'wash' of strings, subtly used without being particularly prominent - and based on simple chords. There are also countless examples where sampled string sounds have been used to great effect - from the atmospheric Mellotron of the 1960s to more hi-tech solutions used in modern day music. Even synthesized strings - with no pretence at being the real thing have also distinguished many pops and rock classics. Despite huge leaps forward in the technology of sampled strings, many producers and artists still prefer to use the 'real thing' - professional studio musicians drawing on their expertise to create a rich and authentic addition to a track. By using live players, it's possible to be far more versatile and include the articulations or 'up and down bowing' which only sound authentic on a real instrument. The first thing to consider is that the family of stringed instruments which forms a standard string ensemble (violins, violas, cellos and double bass) all have a lot in common but work in different ways to the guitar or keyboard. They are tuned in 5ths - meaning that you count up 5 notes including the note itself to arrive at the next string. The violin shares it's bottom three strings with the viola, whereas the cello is exactly an octave below the viola. It is also important to know the range of each instrument. Approximately three and a half octaves will sound comfortable as a section, and it's important to understand how the sound quality is affected by the pitch of notes. High notes will sound thinner and more penetrating, whereas the lower register can sound thicker or richer. As an example, much disco music from the 1970s makes use of the higher register of the violins in particular. The next consideration is the skilful and sometimes tricky business of spacing chords for a string section. This is where a lot of string arrangements can fall down - get it wrong and the effect can sound empty or thin. Violins are split into two sections - the 'first and second violins' - as found in a symphony orchestra. The first violins can often be in unison or an octave higher than the melody, with the second violins playing a supportive countermelody. Conversely, the first violins could be playing the countermelody with the three other parts filling in the chords. Note: in a chord, each instrument can take one or two notes depending on the fullness or effect required. Even in these chords, the string arranger needs to make sure the cello part doesn't leap around too much - although the bass guitar may still supply the bass line, the cello part will still be very effective in moving in step or as a melodic line. Another important aspect is understanding the articulations required to bring out the best in stringed instruments. Think of it as being monochrome versus colour. Without slurs, staccato, spiccato and pizzicato (all standard effects that stringed instruments routinely play) - the sound can easily become dull and uncharacteristic. The best string arranging uses an intimate knowledge of the instruments and can sound vivid, exciting and detailed. Often, when a string section has been composed on a keyboard instrument, it can sound somehow fixed and mainly chordal in nature, without the moving parts that strings naturally have. Strings have been used in almost every genre of music, from jazz through to heavy metal, rap and of course classical music. Genres such as bluegrass, Cajun and folk often spotlight a solo fiddle (the name 'fiddle' is interchangeable with violin), with an idiomatic style based on sliding up to notes, the use of rapid double stopping (where more than one note is simultaneously played) and subtle trills with quick snatched notes. Sometimes single strings - one of each instrument as in a standard string quartet - can be an option to bring out the beautiful solo sound of each player. This can be used for more intimate styles of song, such as one with an acoustic guitar and voice. Here, the use of solo instruments is often more appropriate than a large string orchestra, as it brings a soulfulness and adds a more contemplative mood. For larger style music, a string arranger might write a big orchestral type sound - such as for a rock ballad or film soundtrack. If budget is no option, a section of thirty to forty session musicians may well be used. In other cases, often a high quality sampled string library can give an excellent rendition of strings - though lacking the human touch, with many producers hiring in a handful of professional musicians to layer a few real takes on top to add the articulations and feel which make it sound more convincing. Where strings are only part of a mix with other instruments, this can be a more economical solution than hiring a full orchestra. With modern studio technology, an increasingly popular method for those financing their own projects is to use a few musicians who can multi-track several overdubs to create a larger sound. However, it's highly advisable that players who are asked to do this are extremely accurate professionals, to ensure that the end result isn't untidy - they will also need to vary the quality of sound and bowing in order to add character, and imitate a variety of different players within the section. With this approach, players must have perfect tuning and an excellent range of sound to create a realistic end result. The professional string arranger will get a feel for when the strings should be dominant in a track and when they should recede into a more supportive, background sound. The arranger should know when the texture should be sparse as well as identifying moments where the strings can come alive and be dense or intricate. Rather than adding just basic chords, the strings can be used to provide the hook or countermelody - and in some instances, this can completely transform a piece of music, making it instantly memorable. 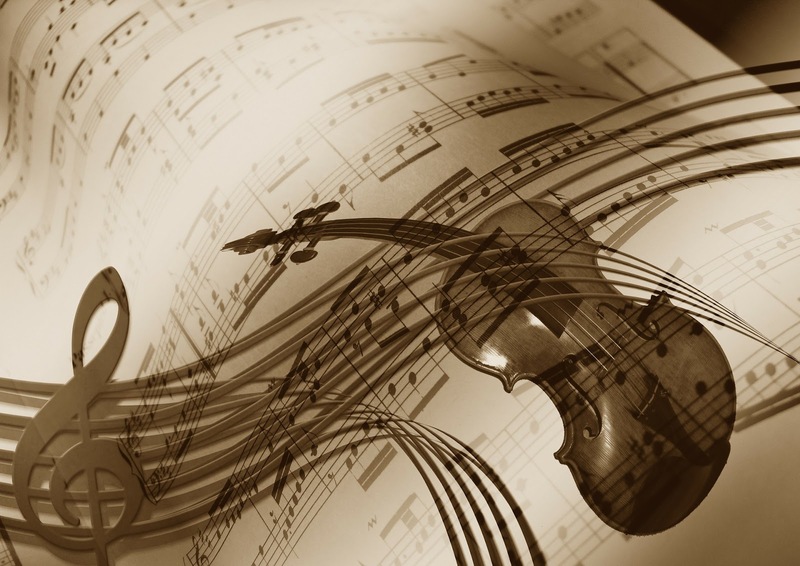 Although many bands and artists have a grasp of music theory and orchestration, so do undertake their own string arrangements, it is important to remember that a specialised string arranger will have years of training and may get better results. After all, if a group are going to the expense of hiring in a real string section, they'll want to make sure they get the full potential from the players. Music needs to be scored and orchestrated correctly to suit the instruments so that any session musicians can just sit down and play it through the correctly first time - saving valuable studio time.